am a Licensed Clinical Social Worker with 10 years of experience helping individuals and couples. I enjoy working with clients who are dealing with depression, anxiety, trauma disorders, relationship issues, mood difficulties, and life transitions. I bring an integrative approach to my practice, as I believe in taking into account the unique ways that my clients view the world. I use a variety of treatment approaches to help my clients understand their own thoughts and behavior and how these may be influenced by their personal experiences and history. I believe that changing a difficult situation starts with self-compassion, acceptance, understanding and empowerment. I would be a good match for anyone looking for a female, culturally-competent therapist. My training and personal experiences with social and cultural intersectionality also make me a good match for those who are in need of support that is free of judgement or persecution. I especially welcome those who represent the LGBTQ-IA community, all individuals navigating complicated family and romantic relationships, and those in need of support navigating issues of sexual health. Thank you for choosing to work with me. I will make it my mission to help you to realize your full potential, so that you may live your best life as you define it. Tarnisha Gordon is a very kind and caring therapist. I am very happy with my time with her so far. Tarnisha was absolutely fantastic. When I started I could see a path to recovery. She helped me chart that course and maneuver in a way that I wouldn't have been able to do on my own. I love Tarnisha. She's responsive but not pushy, and she listens to me and suggests helpful tools. Very happy with this service so far. Tarnisha is supportive and helpful and has been a guiding light in my recovery. I am very pleased with my continuing counseling with Tarnisha! She is very timely in her responses, and asks thought-provoking questions to get to the root of my personal challenge. Ms Gordon has been amazing. She has been very fair and also insightful. She has gently called me out on my own self deception and has been patient with me on it but also has kind of opened my eyes to things other counselors have not. Really caring and helps open up your mind. Tarnisha is a wonderful person and a uniquely experienced councilor with tremendous skills. She is the main reason I now feel better and equipped with tools that help me tackle what comes my way. Thank you Tarnisha you rock! I haven't been working with Tarnisha very long but I can say that so far she has been the most effective therapist I have had. She's very attentive and knowledgeable. I feel like with her help in this short time I am developing tools to help me down the road with life's challenges. She is the best of the best. Wouldn't be where I am in my life right now without her. She has helped me tremendously and I feel like myself after years of self-doubt. She is an amazingly gifted counselor and knew my diagnosis even before I went to see a psychiatrist. She is friendly, warm, and focused on helping you succeed. Strongly recommend her. Tarnisha was very responsible and offered great suggestions. Tarnisha is very good at getting me, and allowing me, to write honestly and in detail about what concerns me and the things in my past that bother me. She asks thought-provoking questions and is incredibly quick with her responses. I feel that she reads my very long messages very carefully, which I very much appreciate. Tarnisha has helped me greatly to let go of the past and put me on a path towards personal growth and healing. Highly recommend her. Tanisha is sincere and competent in her profession. She's the best. I wasn't too sure if BetterHelp would be for me but she proved me wrong. She's teaching me so many things about life, I'm beginning to see the me I've been wanting to see for years. She's very nice, very down to earth, and straightforward! Tarnisha is precise. She probed into the root cause of my problem and provided the right responses. Tarnisha, has been attentive and concerned. I have yet to fully engage her in discussions but I am looking forward to it. Accommodating, eye opening and a fantastic listener. Thank you for everything so far. Would you like to write a review for Tarnisha Gordon? 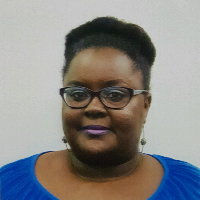 We'd appreciate if you can spend a couple of minutes to write a short review for Tarnisha Gordon (LCSW). This review would be shared with Tarnisha Gordon. It may also be posted in our website or in Tarnisha Gordon's profile but it would be anonymous and your identity would be kept completely confidential.